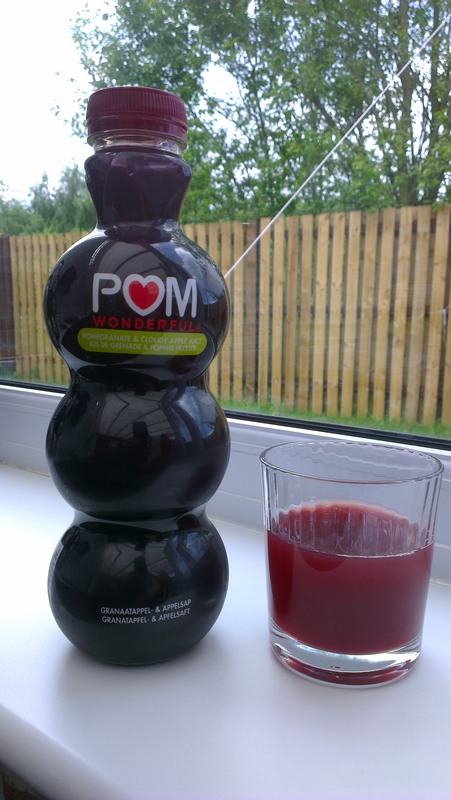 I was already a fan of POM Wonderful Pomegranate Juice, so was delighted to be offered the opportunity to review* the new flavour: Pomegranate & Cloudy Apple! Pomegranate juice has a particular taste that perhaps doesn’t appeal to everyone. It manages to be at once crisp while also being deliciously sweet. It’s this combination that gives it its great thirst-quenching taste. Additionally, pomegranates are full of goodness and POM Wonderful juices are made from 100% fruit concentrates with no added sugar. You can see in the photo above that the cloudiness from the cloudy apple juice added to this new variety comes through in the blended juice. The cloudy apple juice adds an extra flavour dimension / more depth to the juice. POM Wonderful really is wonderful; crisp, sweet, thirst-quenching. I can’t say anything further about it. This new Pomegranate & Cloudy Apple flavour is currently available from Tesco, RSP 3.56 for 710ml bottle. *I have received this product free of charge with a request to review it on my blog. This is an honest product review and reflects my opinion (and those of my family members, who have also sampled the products). I did not receive any payment in exchange for the review. If you would like me to review a product (or recipe) for you, please e-mail me in the first instance. Thank you. I was sent this Aberdeen Angus Steak Mince for review (click here for the review post) and wanted to cook it in a way that wouldn’t mask the amazing flavour of the Aberdeen Angus Beef. 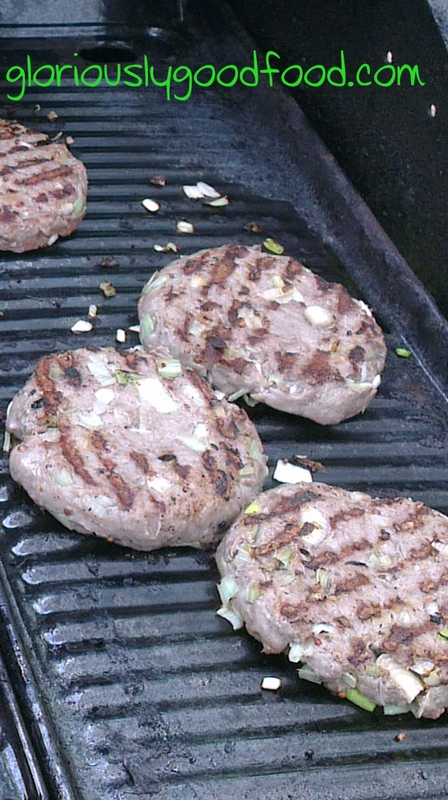 I therefore opted for very simple burgers, that we cooked on the BBQ. One 400g pack of mince made 4 decent-sized burgers. I chose to make them quite large but fairly flat so they’d cook quickly and evenly on the BBQ, but you could equally make them slightly less spread out and much chunkier, if you prefer. I’ve kept the recipe very simple to allow the amazing flavour of the Aberdeen Angus Beef to shine! Mix all the ingredients together without over-working the meat, shape into burgers. If you have time, do this in advance, then wrap in clingfilm and leave in the fridge for a couple of hours. 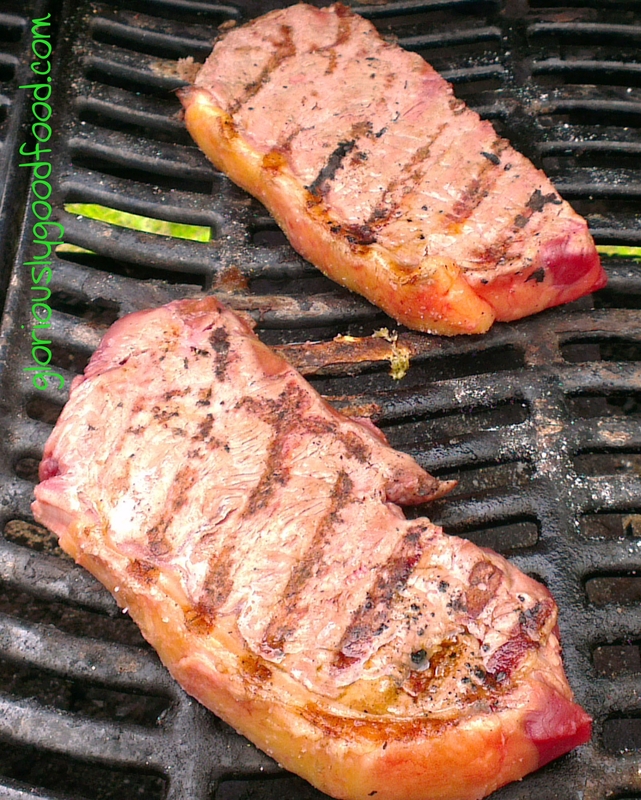 Cook on the BBQ, under the grill or in a frying pan. 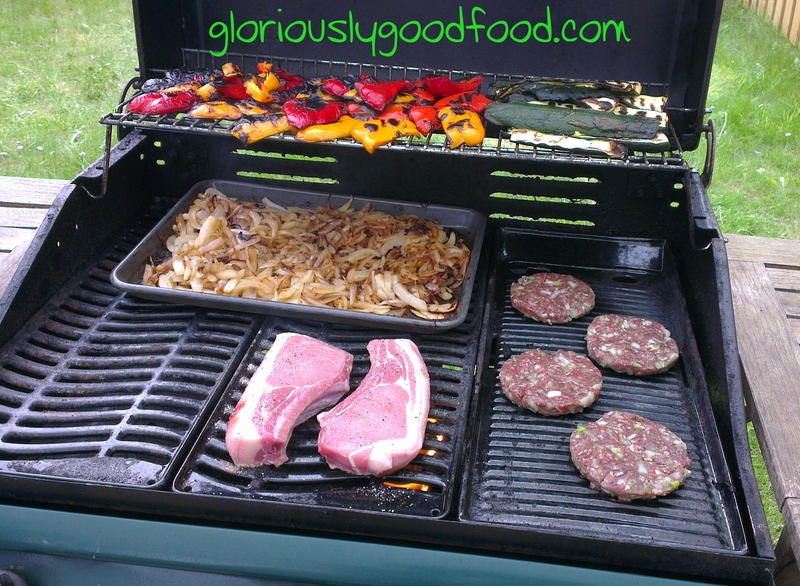 Aberdeen Angus Steak Mince Burgers – Gloriously Simple, Gloriously Good!